Original knobs for the Crosley Dashboard radios are made of pot metal, painted, and accented with a gold paint. 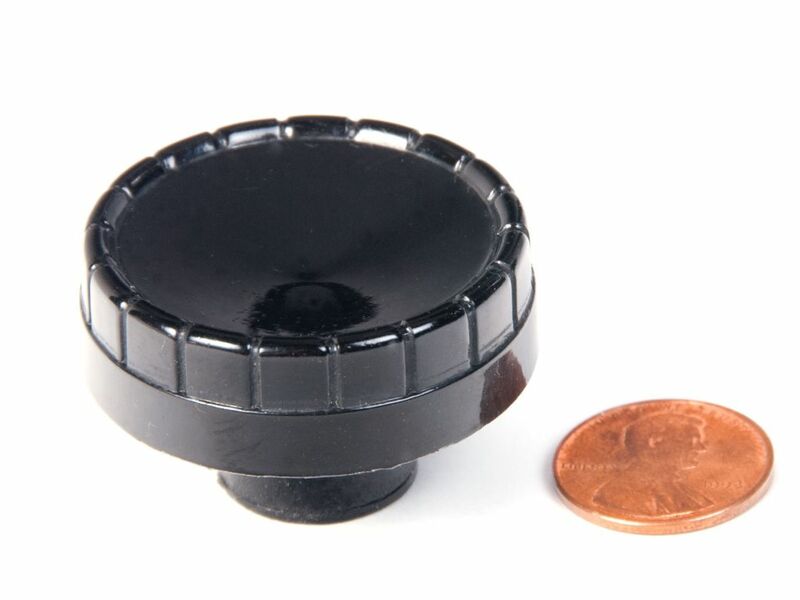 These knobs are made of urethane plastic and are unpainted. You will have to do the artwork if you are handy with masking before spray painting. 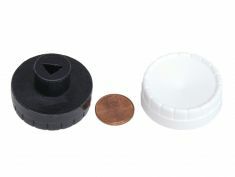 Dimensions: 1-1/2" diameter, 1/2" deep, 1/2" reach-back behind the knob. Fits a 1/4" half-flat shaft.